After several babies died or suffered serious reaction from Quinvaxem injections in the last two months, the Ministry of Health called for a special meeting on January 9 to discuss reasons behind these deaths. 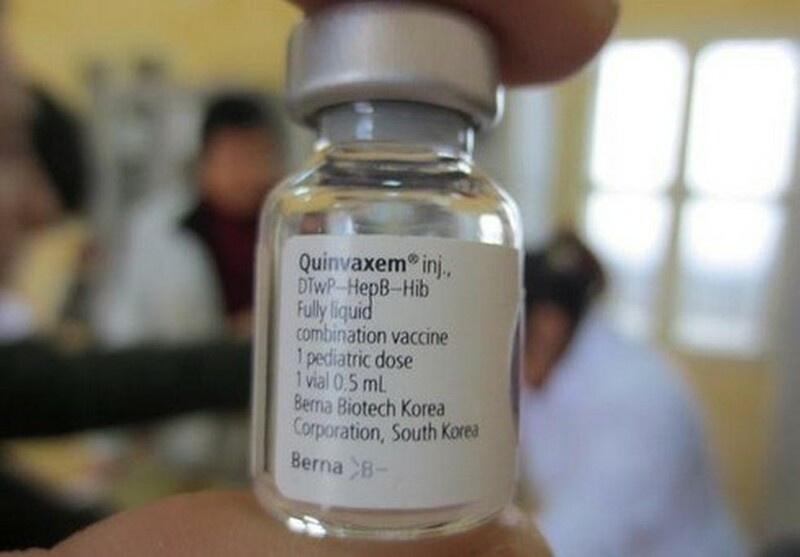 For the last two months, Quinvaxem vaccine injections produced in South Korea to immunize against common childhood diseases have caused serious and fatal reactions in babies. The ministry announced that from December 20, 2012 to January 5, five children in the central province of Binh Dinh, the Mekong Delta province of Kien Giang and Hanoi suffered severe reaction after being injected with the Korean-made Quinvaxem vaccine. Nguyen Van Binh, Head of the Department of Preventive Medicine under the Ministry of Health, said there has been no scientific evidence of the relation between the reactions in children and the vaccine to justify decision to withdraw or stop the use of the vaccine. Following the child deaths, the ministry had sent the vaccine samples to an independent laboratory recommended by the World Health Organization for testing. Meanwhile, Nguyen Tran Hien, head of the National Institute of Hygiene and Epidemiology and head of the national program on immunization, said that no vaccine is a hundred percent safe and hence must be carefully prescribed for babies. In order to conclude the cause of the reaction, one must look at factors like injection process, transportation procedure, state of preservation, and child’s illness history, Hien said. So far, around 427 million doses of Quinvaxem vaccine have been used in more than 91 nations since 2006. Since June 2010, Vietnam has been using the Quinvaxem vaccine and consumes 4.5 million free doses in children from 2-4 months old.